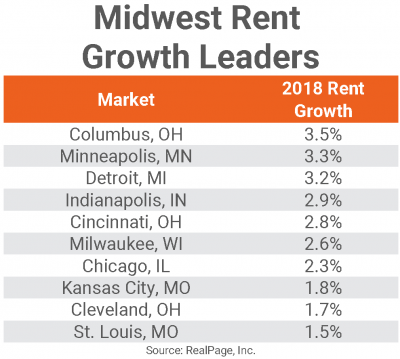 Columbus is seeing the strongest rent growth in the Midwest, despite sizable inventory growth during the current economic cycle. 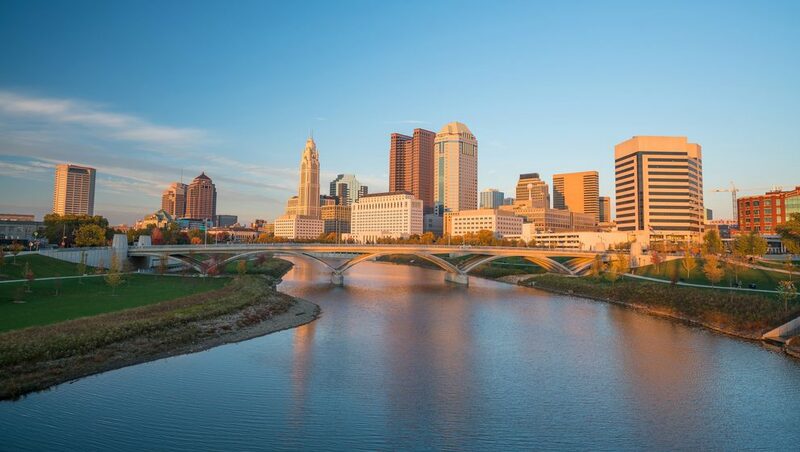 As the Ohio state capital and a university center, Columbus boasts a strong economic core and a thriving young population, which have contributed to solid apartment market fundamentals in recent years. 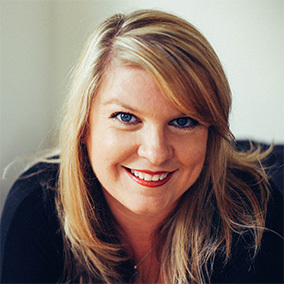 During the Great Recession, the solid economy here helped mitigate the vulnerability seen across much of the nation, and when the current upcycle started, it didn’t take long for Ohio’s capital to get back on its feet. In the past five years, dense apartment demand has helped to hold Columbus occupancy steadily between 95% and 96%. Taking advantage of that strength, apartment operators have also pushed rents at a steady, strong pace. Columbus price hikes were at 3.5% in 2018. 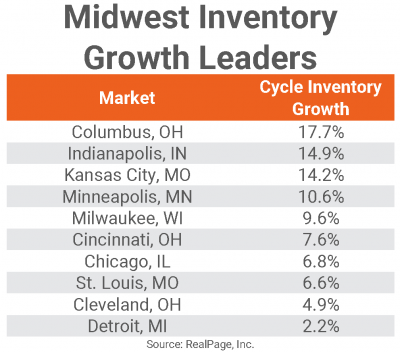 This was the strongest showing among the Midwest region markets, with Minneapolis and Detroit clinging closely behind. U.S. rent growth was similar, with an upturn of 3.3% in 2018. Operators of Class C units were the most aggressive in terms of rent growth in 2018. Prices in that most affordable stock of apartments grew 4.3% in the past year, while increases were about in line with the market norm at 3.7% in Class B product. Rent growth was more moderate in the pricey Class A units at 2.7%. Average monthly effective rents in the Class A stock were at $1,284 at the end of the year, roughly $550 more than the Class C units. Columbus apartment fundamentals have remained healthy despite sizable new completion volumes in the current economic cycle. Since 2010, nearly 27,000 new apartments have been delivered, swelling the existing inventory base by 17.7%. That was the strongest increase in the Midwest in that nine-year time frame. The other two Ohio markets were notably behind, with increase of 7.6% in Cincinnati and 4.9% in Cleveland. While the first few years of the current cycle were typical for Columbus, with annual supply volumes around 1,000 units, those numbers started hovering around the 4,000-unit mark in 3rd quarter 2013. In 2018, specifically, about 4,200 units were delivered, topping off six consecutive years of increased supply for the market. Looking ahead, deliveries are expected to cool. About 3,500 units are scheduled to complete in 2019, and 2020 should see supply ease to under the 3,000-unit mark. Apartment market fundamentals should continue to top the other Midwest areas, but occupancy and rents are both expected to come down a bit, losing just a shade of strength from what been accomplished in the past five years. For more on Columbus, and on the other two big Ohio markets, watch the latest RealPage Asset Optimization webcast.